For the last 13 years since we launched Christian Connection, I have hoped that one day a TV programme about Internet dating would come along which is genuinely well informed, probing and helpful. But I ended up watching ‘ITV Tonight: Looking for Love’ with a mixture of frustration and resignation. Apparently the twittersphere agreed with me. A look at how people do Internet dating, how to do it better, and sharing examples of success and failure. What is out there, what to watch out for. A look at the industry – who are the people who run Internet dating, what they think about it and the trends in the industry, how the industry is managed and regulated. A more general rounded look at how the Internet is shaping the way people find relationships and whether it has meant a fundamental change in the way people approach and choose new relationships and commitments. The impact of the facilitation of hook-ups and extramarital affairs. Identifying and exposing the abuses in Internet dating; scammers, spamming, misuse of data, misleading marketing and subscription practices. Regulation could also be included in this. In my view no programme has yet done a really good job other than perhaps investigative programmes like Panorama – but this only focussed on negative examples with no attempt at balance or fairness to the industry as a whole. And of course there have been the exploitative reality shows, “lets find single people looking for love so we can make them say and do daft things on TV”. People in the industry generally avoid them. 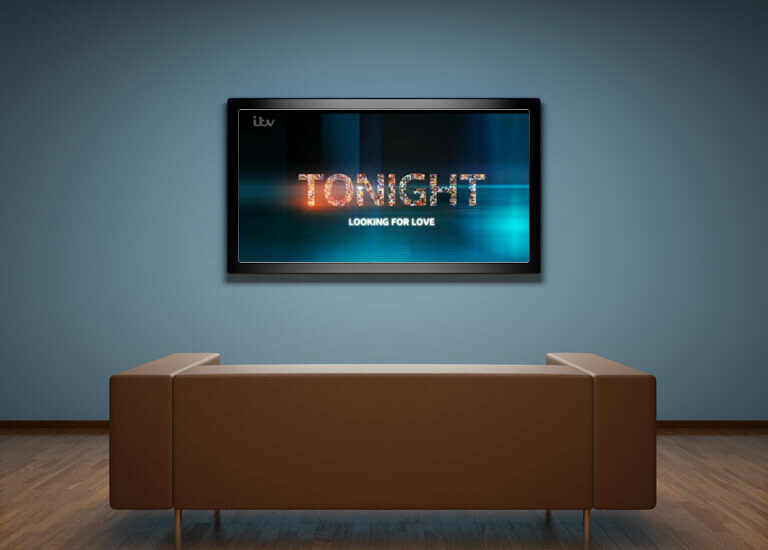 Sadly Looking for Love on ITV turned out to be another missed opportunity – although it had initially promised a little more. It was scatter-gun, superficial, and failed to deal with most of the questions that it posed. We saw a couple preparing for their marriage; buying wedding clothes, watching baby scans, and finally getting hitched on camera. Completely unremarkable, except for the fact that they had met online. Given that Internet dating has been around for well over 10 years and that at least 25% of couples meet online, it added almost nothing to people’s understanding. A Christian Connection couple, Steven and Frances, were shown for a few seconds, sandwiched in between similar contributions from a Jewish and Sikh couple, (that was the “diversity” bit over). Then we were whisked off to the iDate Conference. Surely a great opportunity get the inside scoop on the people behind the dating sites. Sadly all we got was a picture of a few people sitting at tables; although Mark Brooks had a few short seconds to talk about innovation and choice in Internet dating. The only dating executive interviewed from the entire conference was from an adultery website boasting about how much money was being made (as he put it), “saving marriages one affair at a time”. There were no contributions from people who created and run mainstream dating sites. We could have heard about how it’s run behind the scenes, handling different issues, from marketing ‘love’ to educating members and tackling problems. How the industry is finding ways to encourage people to form real relationships. As is often the case on TV programmes; they seem to prefer insights from academics to those actually working day to day in the business. Yet from the numbers of times I get cornered at social events asking for the inside view, it’s clearly an area of interest. ITV spent a whole day filming at the offices of Muddy Matches. But in the end that was cut out completely – and yet that could have been genuinely revealing. There was an important section looking at the issue of romance scams. We heard a tragic story from a woman who had been the victim of a romance scam, but little about who the scammers are and what dating sites and the police are doing to stop it. Or even how to help daters spot and avoid a potential scam. The program makers did meet with George Kidd from the newly formed Online Dating Association to speak about how the industry was seeking to uphold trust and standards. Sadly that too was never shown. These elements were cut in favour of clips of elderly people at a tea dance and a few lads mobile dating down the pub. And speed dating was reported, as if it was a revolutionary new idea. There were flashes of what might have been a good program. An Internet dating coach helped a woman to develop her profile and approach Internet dating in a positive and proactive way. Some important questions were raised about whether too much choice was a good thing or crowding out real relationship building. But the format was so disjointed and confusing that these questions were never explored to any depth. I’m still waiting and hoping for a really good program on online dating. One which is practical, informative, thoughtful and challenging. Watch the program in full here.